Why do we host Meetups? We want to excite, train and network with our customers and partners. Showcase & share new Oracle cloud services and developer tools. What is in for Oracle partners? 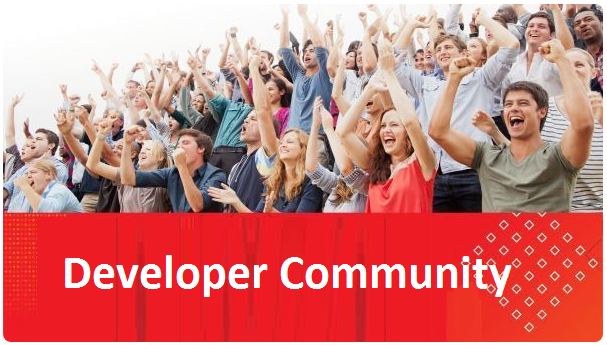 Train your team, network with developers, customers, students and Oracle. How can Oracle support you? We offer Oracle speakers from product management and the local pre-sales team. We encourage your to present your own best practices, showcases and interesting topics. Promote the event by the local Oracle team and myself via social media and Oracle communications. You can host the Meetups at Oracle offices or your office and we handle the catering. Setup and maintain the Meetup.com platform. How often should we host a Meetup? Recommend once a month and a total of 8+ times a year. Monday evening is a good day as there are not many other events. Where should we host the Meetups? You are free to choose a location. We offer the Oracle offices, can connect you with the Oracle value added distributors or your own office. How many persons attend the Meetups? Once the local Meetup group reached 100 members we start to schedule Meetups. About 25% of the group members register for the Meetup. Half of the registered attendees attend the event. You can start with a small Meetup (10+ attendees), our goal is that attendees return and we constant grow. How to promote your next Meetups? Announce a Meetup 6+ weeks in advance. Send an announcement to the Meetup group. Promote via your blog and social media. Invite your contact via the Meetup group to join. E-Blast to customers and partners. Inform local sales, pre-sales and alliances & channels team. Add your meetup to the Oracle event calendar. Promote via blog and social media.